Young hero Thomas embarks on a mission to find a cure for a deadly disease known as the “Flare”. 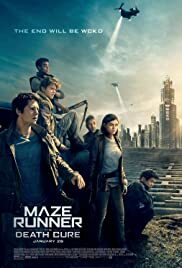 The last of the trilogy of MAZE RUNNER films, though advertised as MAZE RUNNER: DEATH CURE, the opening credits list the film as THE DEATH CURE. Obviously so, as there is no maze in this film or in the second film either. The film opens with a special effects ridden train hijack, by trucks and hidden hijackers though attacked by manned and armed drone-like flyers. Jorge (Giancarlo Esposito) and Brenda (Rosa Salazar) chasing down a WCKD train holding a group of immunes, including Minho (Ki Hong Lee), the one they aim to rescue. They are chased by a Berg, which lets Thomas (Dylan O’Brien) and Vince (Barry Pepper) arrive, blowing up the connector rail that connects the train cars together. Brenda and Jorge get help from Frypan (Dexter Darden) before hijacking the Berg and return to the train, pulling the carriage full of immune with them, and Thomas, Vince and Newt (Thomas Brodie-Snagster) aboard. They arrive at the rebel base only to discover Minho was in another carriage, yet they managed to free numerous immunes. At WCKD’s headquarters, they perform numerous tests on Minho to extract a serum from him. The thing that is supposed to make much sense is that the immunes have it in their blood to produce a vaccine that will eve the world, or they turn into zombie-like beings. Yes, nothing much else is expected story-wise either, despite the fact that each film in the trilogy is based on a book. The film’s main character in THE DEATH CURE and in the other 2 films is Thomas (Dylan O’Brien). Other characters like his love interest Teresa (Kaya Scodelario) and best mate Newt are also present. 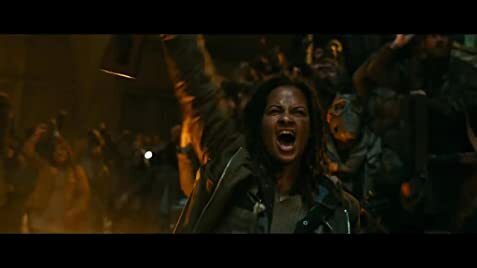 As fights go, it is difficult to get excited at whether a character survives or dies as two dead characters in THE MAZE RUNNER (the first film) who are supposed to be dead are miraculously resurrected for no good reason. One is Ava Paige (Patricia Clarkson), the Head of WCKD who shot herself in the first film. The other is Gally (Will Poulter) who is speared by Minho. Gally and Minho are both friendlier in this film. The film also introduces a few new characters, all none too exciting except for Jorge (Giancarlo Esposito). The villain of the piece is Janson (Aidan Gillen) who is given a chance to fight Thomas, the hero at the film’s climax. The film runs too long at 2 hours and 20 minutes. The film definitely could have been shortened as it seems that the story is made up as it goes along. 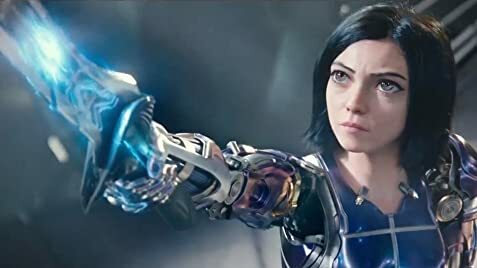 The special effects are impressive but that is no reason to go see a movie for. 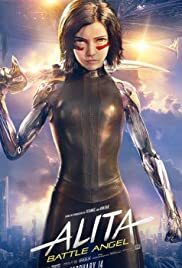 This is director Ball’s third film in the MAZE RUNNER trilogy and one would think he would have improved with his final entry in the franchise. The first MAZE RUNNER cost $34 million to make, grossing $384 million while the second $61 million to make and grossing $312 million. This final one cost a whopping $83 million to make, is the lengthiest and the most boring of the lot. It should cover costs but profits will be tough to beat! She is an actress, known for The Scorch Trials (2015), Insurgent (2015) and Epic (2013).